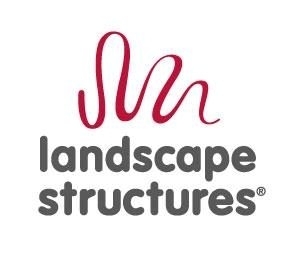 Since 1971, Landscape Structures Inc. has been the leading commercial playground equipment manufacturer in the world. Our employee-owned company is committed to making the world a better place with active children thriving in leading communities year after year, generation after generation. We encourage outdoor play that develops healthy kids and a sustainable world by creating innovative products that are environmentally responsible. Our mission from day one has been to enhance children’s lives by fostering and creating inspiring play experiences while honoring the environment. Landscape Structures is also committed to A Higher Level of Inclusive Play™ because we believe the playground is a place where all kids should be able to play together freely. We create truly inclusive playgrounds that are not only accessible, but also age and developmentally appropriate and stimulating to the senses. We have designed and installed thousands of playspaces for all ages and abilities. Specifically our PlayShaper®, Weevos® and PlaySense® playsystems support physical and cognitive development by following standard learning curricula for infants, toddlers and preschoolers. They are also designed to meet the unique safety needs of these age groups. The great range of playsystems we offer can accommodate play spaces and budgets of any size.